Home buyers often look for homes that have been upgraded. Realtors prefer to show their clients properties that have good curb appeal. This combination often leads to multiple offers on the same home – aka “bidding wars”. In today’s competitive real estate market, bidding wars often bring the final price to well above the asking price. As an alternative, avoid bidding on the same house everyone is looking at and consider buying a “fixer upper” that you can turn into your dream home. New Jersey – with its older housing stock – is filled with homes that haven’t been updated in many years just screaming for someone to upgrade things like kitchens, bathrooms, and basements. That creates a buying opportunity for those with the vision to see past the current condition of the home. First-time home buyers can purchase and renovate a 1-4 family property with as little as 3% to 3.5% down. And since all repairs are completed after closing, buyers and sellers can avoid common closing delays due to home repair issues such as a leaky roof, faulty mechanical systems, missing appliances, peeling paint, or broken steps. It is important to note that renovation financing is not just for homes in disrepair. 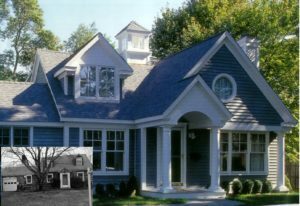 Many buyers use renovation financing to expand or modify a home in good condition – adding bedrooms, dormers, bathrooms, finishing the basement, and altering the exterior to name a few. Also note that renovation financing is designed for buyers looking to purchase (or refinance ) a home they will occupy. However, investors can purchase a single family home with 25% or more down. There are essentially two Home Renovation loans available today – the Fannie Mae HomeStyle loan and the FHA 203(k). It depends on your personal qualifications and property type as to which option would be best for you. An American United Home Renovation loan expert will help guide you here. For over 25 years, my team and I have helped hundreds of home buyers find home buying success using renovation financing. Feel free to call today for additional details at: 908.322.5423 or click here.